Red Bull referenced one of Fernando Alonso’s famous phrases after Honda powered them onto the podium in Australia. 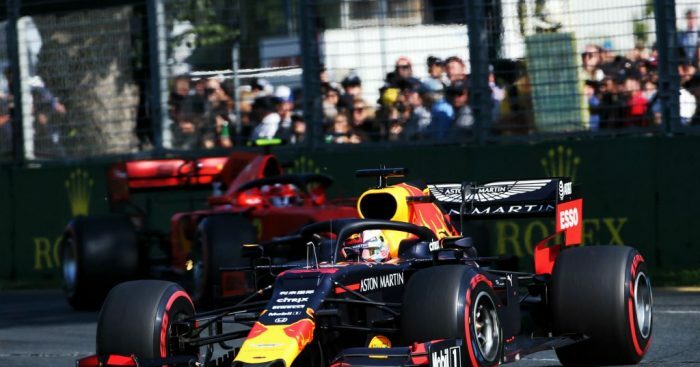 Max Verstappen, finishing on the podium for the first time at Albert Park, posed one of the bigger threats on track as he successfully hunted down Sebastian Vettel in the Ferrari for P3 and almost got the better of Mercedes’ Lewis Hamilton in P2. The P3 finish also secured a huge moment for Honda, who are on the podium again for the first time since returning to Formula 1 and the first time since 2008. During his time with McLaren, Alonso had plenty of run-ins with the Japanese manufacturers and famously said “now we can fight” after finishing P5 in Australia with Renault power. Renault, of course, being Red Bull’s former partners. They did not miss their opportunity to rub it in a little bit. After the race, Red Bull boss Christian Horner was very encouraged with what he saw from the themselves and Honda. “It’s a great day for us to get a podium,” Horner told Sky Sports F1. “Max’s drive, his pass on Seb, was a fantastic performance and to get a podium with a new power unit is a dream start. “Honda have given us a great product, the engine has been reliable and given us good power. “We’ve performed in the race and were more competitive then we felt we would be on Friday.